It might be tempting to grab those bargains, but our recommendation is to take a look at our wide range of products and choose the best for your needs. Don’t shop in a turkey coma this Black Friday. Instead, take some time to prepare and research the best products for your home or corporate office. When it comes time to buy, you’ll be sure you know exactly what you’re getting at the best price. Printers are notoriously difficult to deal with. Whether you’re an educator, a parent, an employee, or a student, you’ve probably had to wrangle with a stubborn printer at some point in your life. Particularly when you’re on a time crunch, you want to be sure that your printer is able to provide high-quality printouts without breaking the bank. This Black Friday sales is the perfect opportunity to read up on a variety of popular printers and what they can do for you. Printers are often taken for granted around the office, but the reality of choosing one that is perfect is not as simple as you might think. If this is your first time purchasing a printer, you might be surprised to learn just how many different styles are available. The first step in choosing a great printer is deciding whether you want an inkjet or laser model. There are pros and cons to both, but chances are, you will prefer one over the other. Different printers come in handy in different settings. What is the main difference? An inkjet printer uses liquid printer ink. 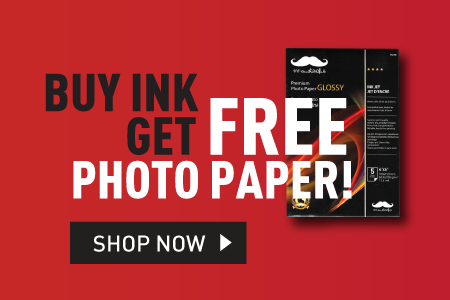 Black ink is sprayed through tiny, microscopic nozzles within the printer to deliver glossy, high-quality images. They typically cost less. Laser printers, on the other hand, use a printer toner black cartridge filled with fine powder and a heated fuser which binds the heated toner to the paper. It’s not as complicated as it sounds. The result is a faster printing speed. Laser printers are particularly good for printing text and graphics, as opposed to high-definition images. Whichever you choose, it is important to purchase compatible printer ink, too.